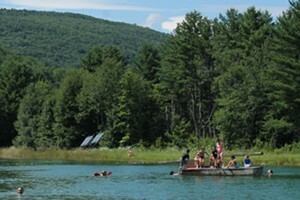 Giving and Getting | Editor's Note | Kids VT - small people, big ideas! My parents host Thanksgiving dinner every year at their home in the suburbs of New York City. It's a large affair with more than 30 guests and a 25-pound turkey. Thanksgiving is the only day of the year when I eat my Grandma Iams' famous onion pudding and my dad's equally famous sausage and pecan stuffing. I get to watch my kids play with my cousins' kids. I have philosophical conversations with aunts and laugh until I cry while reminiscing about the past with my mom and sisters. 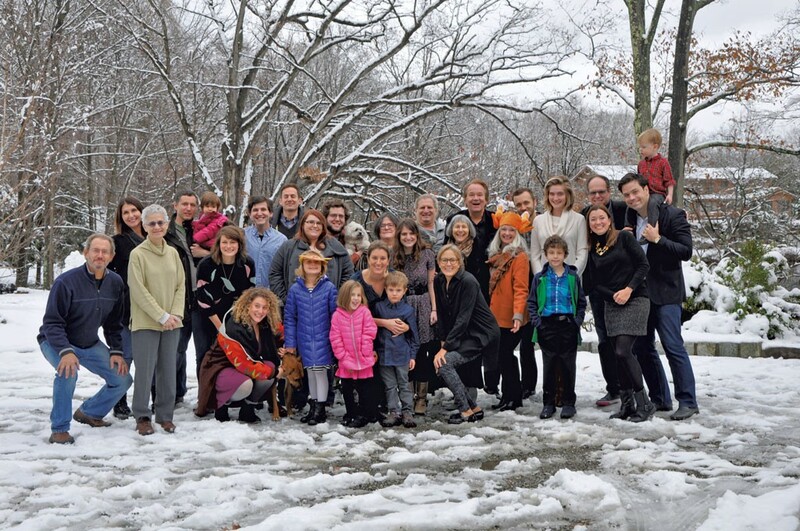 My mom documents the holiday with an annual group photograph before the big meal. The cast of characters has changed over time. Boyfriends and girlfriends have come and gone. Grandparents have died. Babies have been born. My mom sets the camera timer and always makes it into the picture just in the nick of time. An older family member usually lets a couple of curses fly to get some laughs. There are always several people looking away from the camera or making weird faces. Those photos every year remind me of what the holidays are all about — spending time with my perfectly imperfect family. The holidays are also the time of year when glossy catalogs full of toys, dolls and clothes start arriving in our mailboxes by the stack. When radio stations start playing holiday tunes. And when publications like ours put out annual gift guides. This year, though, we've decided to replace our November gift guide with an article about volunteering with kids. Contributor Mary Ann Lickteig talks to families who exhibit altruistic behavior year-round, from serving meals to the hungry to putting together activity baskets for homeless kids. We hope that the piece will inspire you and your brood to contribute to those in need this holiday season. It inspired us to organize a food drive to benefit the Chittenden Emergency Food Shelf on Saturday, November 7 — to coincide with our Spectacular Spectacular talent show auditions at Higher Ground. As for the gift guide, we're pretty sure you'll be able to figure out the perfect present for your kids without our help. We've got plenty of other inspiring stories as well. Seven Days writer Molly Walsh spent the day at Crow's Path, an unconventional outdoor-education program in Burlington. Its elementary-age students ditch the classroom one day a week for a six-hour stint immersed in nature, where they learn to track skunks, make fires and whittle. In "Use Your Words," architect Jennifer Lane writes about hiking the Long Trail — all 273 miles of it — with her 13-year-old daughter. The duo pushed through rain, mud and blisters to reach the end in just 24 days. If their story doesn't make you want to hit the trail with your kids, we don't know what will. And "Mealtime" writer Erinn Simon helps you work up the courage to make your very own Thanksgiving turkey this year, breaking down what can seem like a daunting process into simple steps. Here's to the start of a wonderful holiday season with your perfectly imperfect family!